This June, young kids can have more fun while learning new things and doing school work as they go through enjoyable adventures with Jollibee and friends—their Jollibee School Pals. 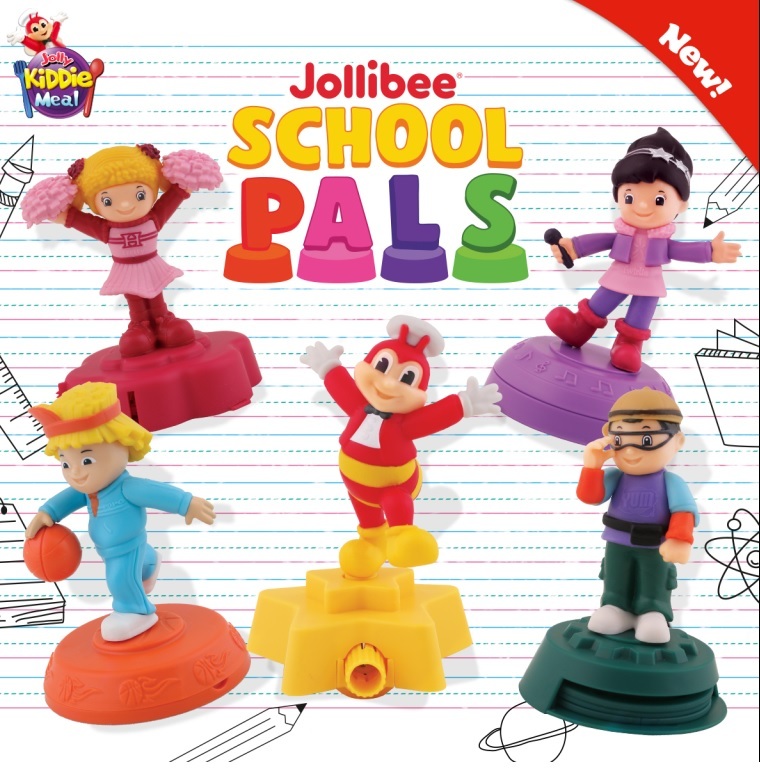 Available with every Jolly Kiddie Meal, the Jollibee School Pals is a set of back-to-school toys, each with different functions, that enable kids to be more creative at home and inside the classroom. Young students can use the Jollibee Sharpener to keep their pencils from getting dull as they watch Jollibee spin around. With the Hetty Tape Dispenser, they can make Hetty turn as they pull strips of adhesive tape for their school projects. With the Popo Stamper, kids can watch Popo dribble the ball while they creatively decorate their projects. They can also use the Twirlie Notepad to write messages to their classmates by simply opening the base to get the notepad. After, they can pull the lever at the back to see Twirlie’s hands move with excitement. Drawing lines and shapes is more fun with the Yum Multi-Tools. Kids just need to poke the opening at the bottom of the base to get the ruler, stencil and paper clips. They can also turn the gear to watch Yum spin around. Assemble your kid’s Jollibee School Pals in time for the opening of classes with every purchase of a Jolly Kiddie Meal: Yum Burger Meal at P97, Jolly Spaghetti Meal at P100 or 1-piece Chickenjoy Meal at P127, each with its own Jolly Joy Box. Hurry, complete the entire Jollibee School Pals set, available until June 30. Head over to the nearest Jollibee branch to collect all five toys that can help make school more fun for kids!